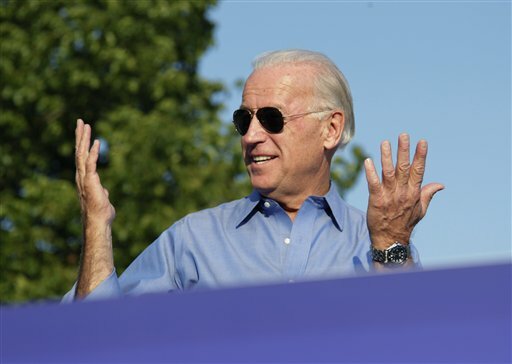 Vice President Joe Biden’s hotel tab for his recent one-night stay in Mexico City cost taxpayers more than $500,000. Biden, who attended an annual economic summit with Mexican leaders, stayed at the luxury Intercontinental Presidente Hotel. Biden led a delegation attending the summit that included Commerce Secretary Penny Pritzker, Energy Secretary Ernest Moniz, and Interior Secretary Sally Jewell. The trip called for 260 hotel rooms and meeting spaces, according to a State Department contract. The total hotel tab was $538,528.65. The government said the trip costs were justified due to security concerns and last-minute planning. "In addition to supporting a large delegation within a short time frame, last minute and frequent changes of itineraries for supporting personnel often result in significant changes in how Posts work with the vendors," the State Department said. "With the exception of a few trips, contracts are not permitted to be signed until the Department of State (Post) has written confirmation from all supporting agencies, which enables collection of funds from said agencies in the event of cancellation." "These unique Senior High-Level USG [U.S. government] VIP travel requirements result in only a single or a very limited number of responsible sources with no other supplies or services capable of satisfying agency requirement," they added. Biden spent only one night in Mexico City, according to the White House schedule. He departed Washington on Wednesday, Feb. 24, and was in Mexico on Thursday to attend meetings for the summit. By Friday, he was in Utah for a "roundtable on cancer." News reports on what was accomplished at the economic summit are scarce, except for reporting on Biden feeling the need to "almost" apologize to Mexican President Enrique Pena Nieto for some of Donald Trump’s remarks on immigration. No press pool for the Vice President was filed during the trip. The Intercontinental Presidente Hotel where Biden stayed is described as a "luxury hotel tower with sweeping city views." "Forty-two stories high, this cosmopolitan Mexico City hotel puts the city at your feet," reads the description of the hotel’s website. "Located in the thriving Polanco district, you’re immersed in a Mexican experience that’s uniquely local yet international." The hotel has "world class" rain showers and blackout blinds. Executive rooms and suites are "comfortable and luxurious" and have televisions in the bathroom. The Intercontinental Presidente also offers numerous spa treatments, including steam bathing, massages, beauty treatments, body scrubs, body wraps, foot reflexology, manicures and pedicures, and waxing. This entry was posted in Politics and tagged Government Spending, Government Waste, Joe Biden, Mexico. Bookmark the permalink.